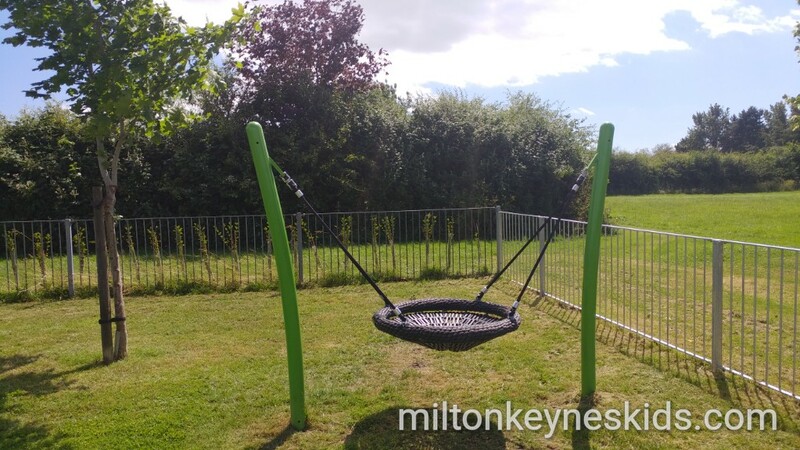 In June 2018 I was tipped off that the park in Newton Longville had been revamped and although I didn’t have an exact location we decided to go in search of it on our way back from Thrift Farm. Watch the video below to see what it’s like and then scroll down for information about it. 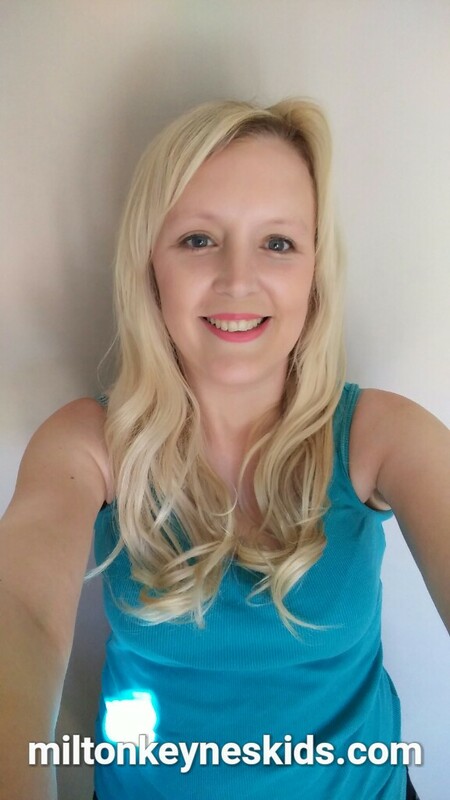 Where is the park in Newton Longville? The address is Whaddon Road, Newton Longville, Milton Keynes MK17 0AT. 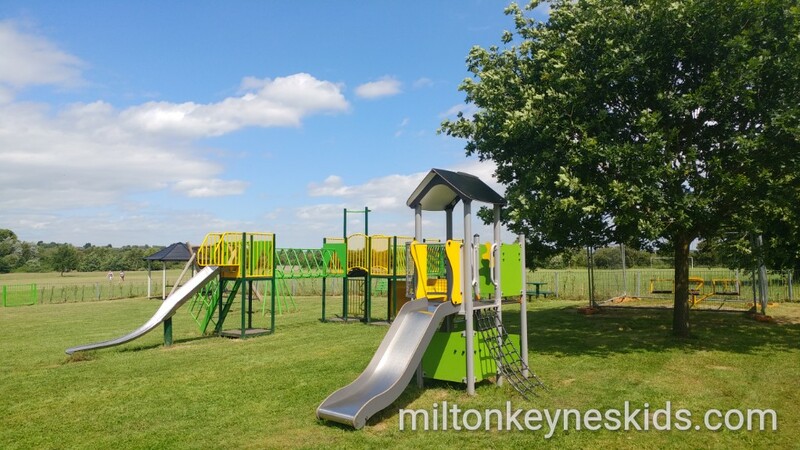 What’s at the park at Newton Longville? 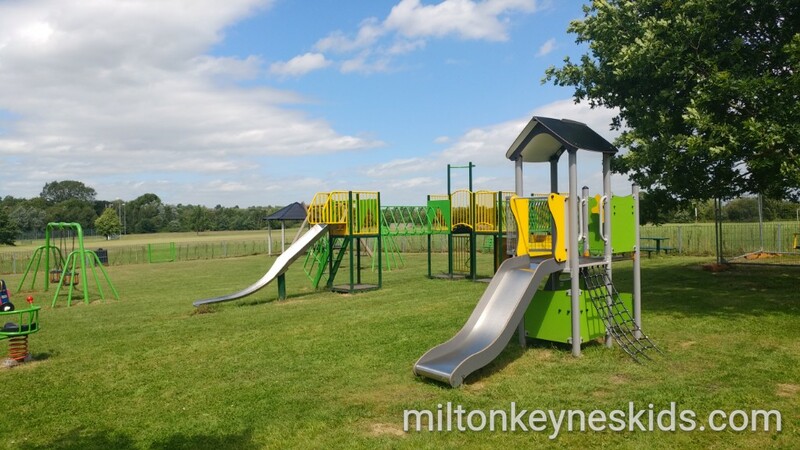 The park at Newton Longville has got brightly coloured green and yellow play equipment, not dissimilar in style to that of the play area at the dragon park in Great Linford. I’d say it’s a park for children aged 2 years and upwards. 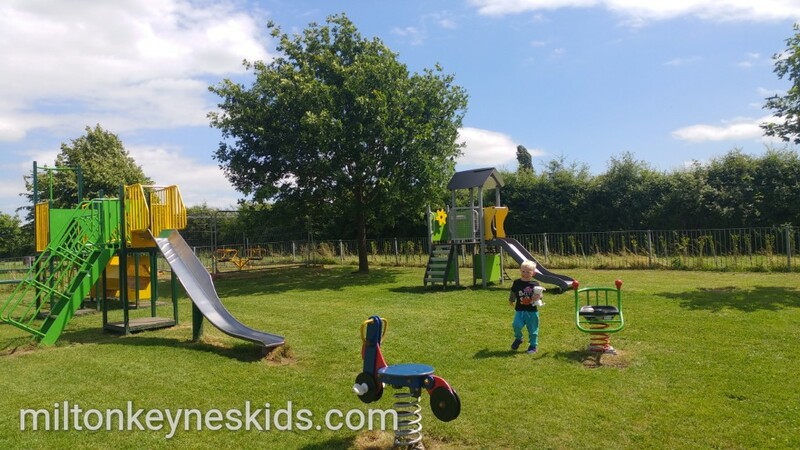 My son – approaching 3 years old at the time we visited – could easily use the smaller of the climbing frames, and was capable of using the stairs to access the slide on the bigger climbing frame, but beyond that he found it quite tricky. The rest of the frame I think would be much better for children aged 4 upwards. There’s also a nest swing, two baby swings, two normal swings and a couple of rockers. When we visited there was also a sit on roundabout but it was fenced off. The park is fenced off, but a really good size, so still gives young children the freedom to run around but they’re only playing within a set area. What was our experience of the park in Newton Longville like? It was really good. Admittedly we went at a quiet time – early afternoon on a Monday in term-time – and there was no-one there. There’s a car park and it was easy to park. The play area is gated so feels safe. I’d like to return at some point to see what my eldest son – aged five as I write this – thinks about it. 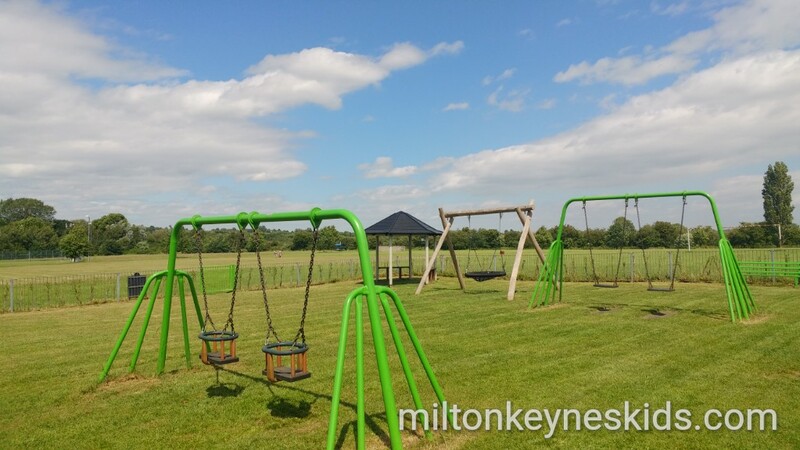 It’s not a park I’d specifically travel to from where we live in Milton Keynes, but if you’re either local to the area or are also visiting Thrift Farm or Curly Tails Pig Sanctuary (book well in advance) then it’s definitely worth stopping at.